Cindy paints bold modern landscapes that depict the sense of deep space and the ever changing colors of mountain ranges. 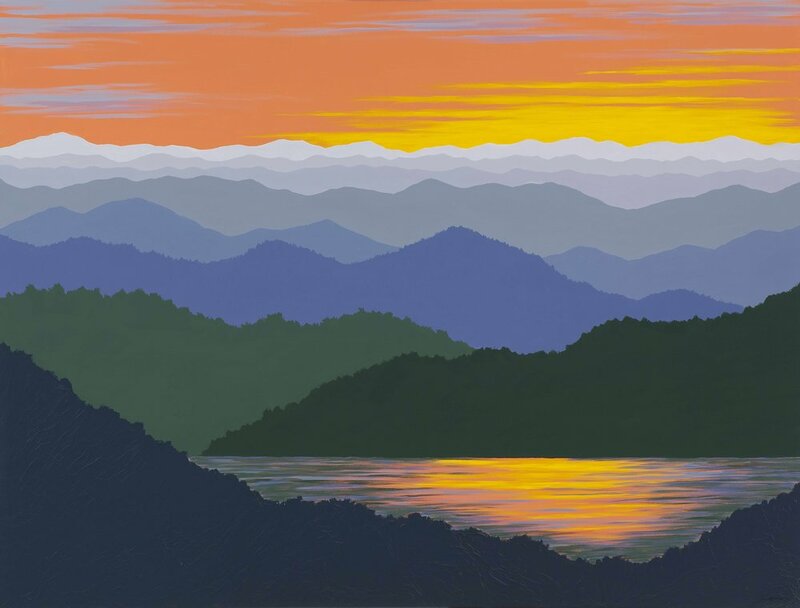 She specializes in the Blue Ridge Mountains of Western North Carolina, and is regularly commissioned to paint scenes from mountain ranges across the country. These inspired nature scenes are a wonderful way to bring the peaceful spirit of the outdoors into your home or business. The same mountain vista can look and feel dramatically different depending on the weather, time of day, and season. Cindy reflects this compelling aspect of nature with her nuanced color palettes. 362 DEPOT GALLERY in Asheville, NC features Cindy's paintings and studio. Her miniature landscapes, painted on 4 -8 inch tall wooden blocks, are a favorite of visitors to her studio. Stop by and see her full line of prints, cards and gift items!